One day in the cafeteria at her school, Eleanor simply disappears into thin air, whisked away into another dimension known as the rift. In the rift, Eleanor meets Mea, Efah, and the Keeper -- beings who seem responsible for controlling and overseeing travels between the rift and the real world. While in the rift, Eleanor finally confronts Esme's death and learns whether she has the power to alter the past and prevent her sister from dying. Eleanor can be interpreted in several different ways, which is awesome for readers, considering they can choose how they want to understand this novel. 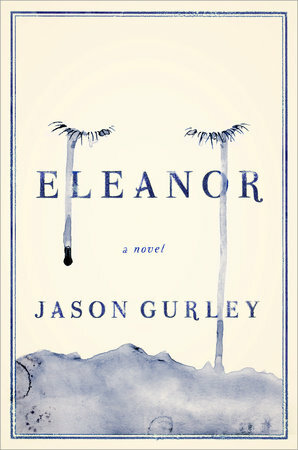 I felt that Eleanor was an examination of how one particular family chose to handle their grief. Perhaps the rift existed in the first place because nobody in the family was at peace following Esme's death. Perhaps the rift was invented by Eleanor after having blamed herself for Esme's death. Maybe Eleanor didn't really disappear into the rift repeatedly to consult with Mea and Efah, and it was all just a figment of her imagination. On the other hand, the rift could have existed for anyone, but why couldn't Paul and Agnes visit the rift? Why is it that Eleanor was able to visit her parent's dreams? Either way, I wasn't too pleased with this novel. I didn't find any of it surprising or shocking, and the goings-on in the rift were too easy to figure out. The story didn't quite come together in a way that made total sense, and again, there were no surprises that had me analyzing what this novel actually meant. I didn't like how pathetic the characters were, and I didn't like how Eleanor disappeared for days, months, and years on end when she traveled to the rift. What was the point? The whole rift concept reminded me of the movie Interstellar with Matthew McConaughey, where he communicates with his daughter from another dimension in the "future," considering time and space are not linear. Overall, I didn't feel this novel was too original. Again, there were just no surprises. 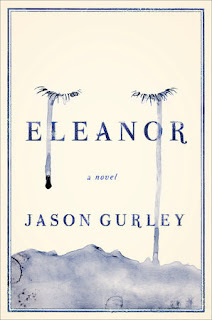 In addition to Eleanor, Jason Gurley has written The Man Who Ended the World, The Settlers, The Colonists, and The World Not Yet Arrived.